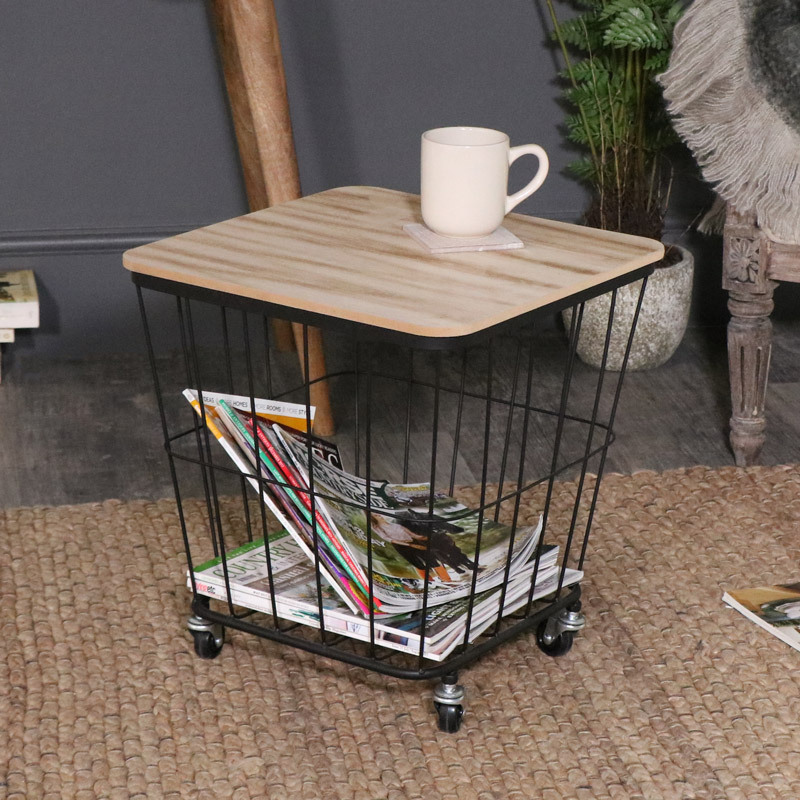 This table is perfect for adding some retro, industrial inspiration to your home. 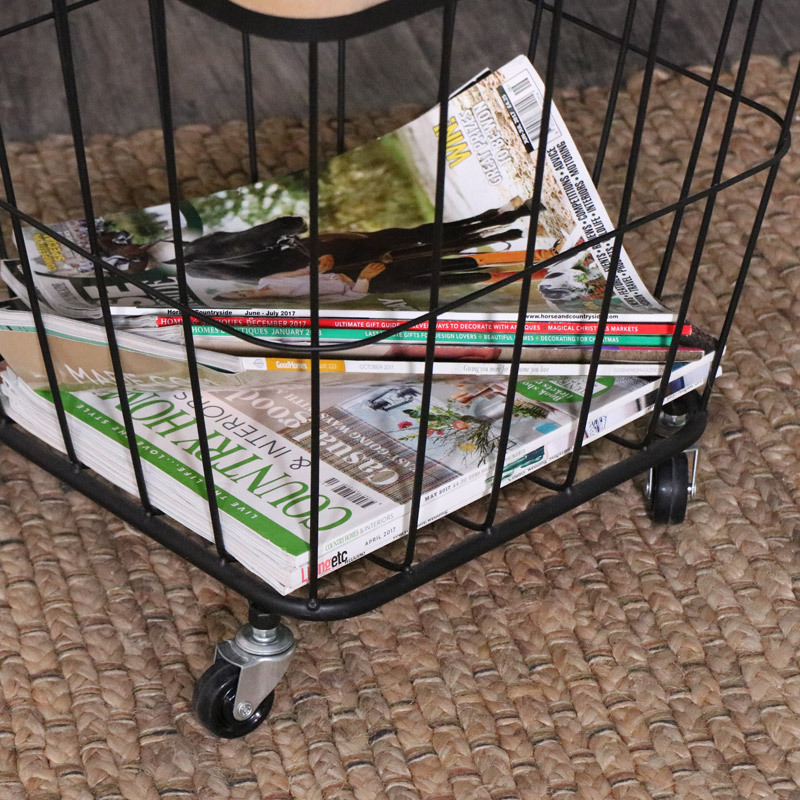 Offering a great storage solution with basket style storage and a tabletop surface. The minimalistic design will easily suit a modern, Scandi or loft living style living room. With a squared wooden top that just lifts off to reveal the basket storage. This means that the table can be easily used for display purposes as well as being a handy side/occasional table. The table is mounted on 4 castor style wheels which makes maneuvering it around the home so easy. We have a wide range of different storage baskets available. Different sizes, shapes and colours! We are sure to have what you need.